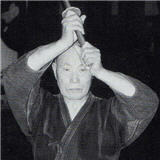 This page is about Kendo Guide. This site was previously managed as The Cyber Dojo by Masahiro Imafuji (Hiro) from 2006. The Cyber Dojo became popular for its free kendo instruction videos and their detailed instructions. Kendo-Guide.Com will be more devoted to kendo online instructions in order to spread out the kihon-oriented kendo. April 2009: Kendo For Life, LLC is established and since April 1st, 2009, Kendo-Guide.Com has been operated by Kendo for Life, LLC. The instructions given here are based on the late Juichi Tsurumaru (9th dan) sensei, the late Keisuke Murayama (8th dan) sensei and Masayoshi Miyazaki (7th dan) sensei. Tsurumaru sensei and Murayama sensei graduated from Budo Senmon Gakko (Martial Arts Specialized College). Needless to say, they were shihan of educational institutions and police departments. They were also appointed to important positions such as member of the board of directors of the All Japan Kendo Federation and the prefectural kendo federation. These sensei were the head instructors (shihan) of my dojo, Shubukan, in Japan and they taught us very traditional kendo style. I was lucky to see both of them at the same time at the dojo and learned from them. Miyazaki sensei was the main instructor for kids when I was a child. He is a shihan of Ritsumeikan University Kendo Club. He led the university kendo team to many great successes including winning of All Kansai University Kendo Championships and the second place in All Japan University Championships. The knowledge I learned from them should not die with me. Their teachings should survive and be passed onto another generations, as many generations as possible. Thus, I decided to create this website, kendo-guide.com, for them, for me and for you. This website is created by my passion. I think you can tell that, right? I started The Cyber Dōjō in late 2006. I just had a surgery so could not do kendō. Then my father-in-law gave me a digital video camera as a charismas present. Then, I thought, “well, I can probably make some instructional videos and put them on the Internet”. That is how it started. All the expenses were initially out of my pocket until I created Kendo For Life, LLC (KFL). Now the company pays all the expenses. As much as I have a big dream, spread kihon based kendō all over the world (what I learned from my senseis), I feel it is my obligation to disclose how KFL is funded. Google Adsense: You may be familiar with Google ads. Most of the content sites have those and this site is not exception. It is very small but is helpful to run this website. Affiliate Programs: Companies such as Amazon have affiliate programs. For example, if visitors of this website buy a product, I will receive a commission or a referral fee from the seller. So it is appreciated if you buy products through my website. Products of KFL: This is the main fund. In addition to spreading kihon-based kendō all over the world, my dream includes making donations to kendo related organization, creating kendo scholarship and establish a kendō dōjō. Of course, that would be wonderful if I can make living out of kendō. Who would not want to do what they love all the time?! I want to think about kendō, do kendō all the time and share my knowledge with as many people as possible. You know what? I am very happy with the fact that I have still had this site up, because people all over the world come to the site and send me emails saying, “I like your website! Keep up the good work” or “Your website is very useful!”. I really feel happy and am glad that my senseis’ teachings are now shared with kendoists in the world. I keep on working hard to contribute myself and knowledge to the world kendō communities.